The Institute for Information Law (IViR) (established in 1987) is part of the Faculty of Law of the University of Amsterdam. IViR hosts one of the largest research facilities in the field of information law in Europe. 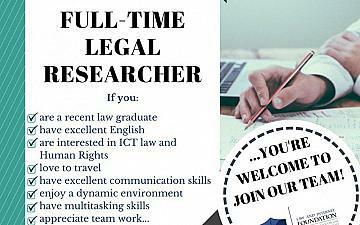 It employs over 25 qualified researchers who actively study and report on a wide range of subjects in the field of information law including intellectual property law, media and telecommunications law, privacy law and freedom of expressions.